Rob McAlister Fishing Umbrella Shelter to the Rescue! 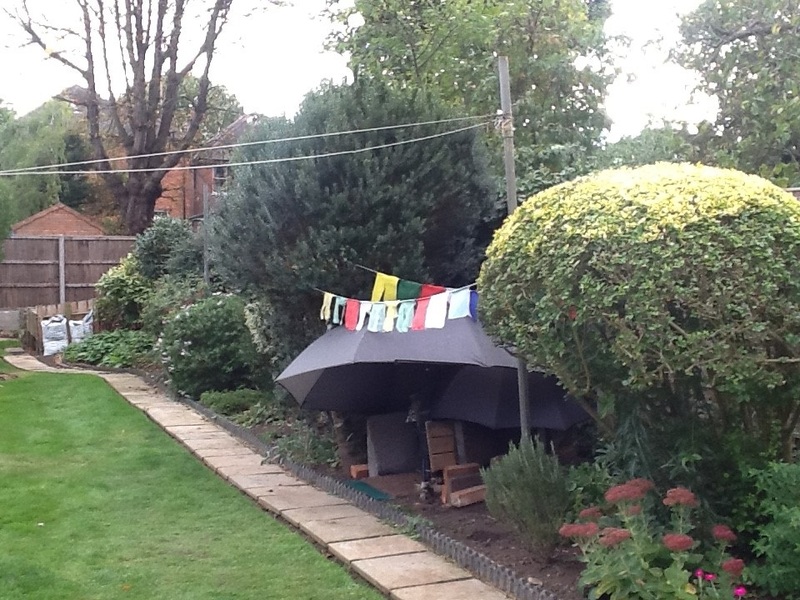 This is the tale of a compassionate German lady, Barnaby the stray cat and an innovative fishing umbrella shelter. 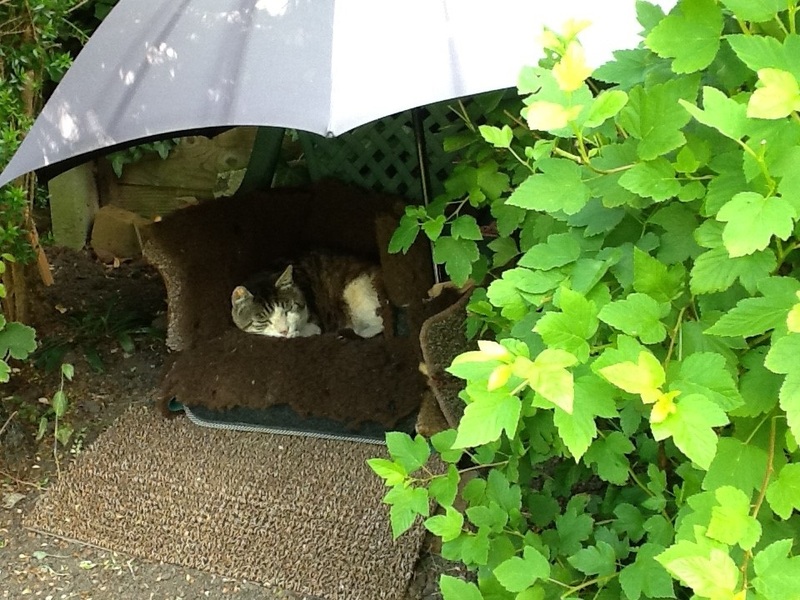 For the last 10 years a stray cat has been visiting Elisabeth Linder’s garden in London. Over the years, Elisabeth’s life has been completely overtaken by her determination to rescue and care for the cat. The cat, Barnaby (named by Elisabeth), almost feral and fearful of people has started to deteriorate in health and is in need of care. 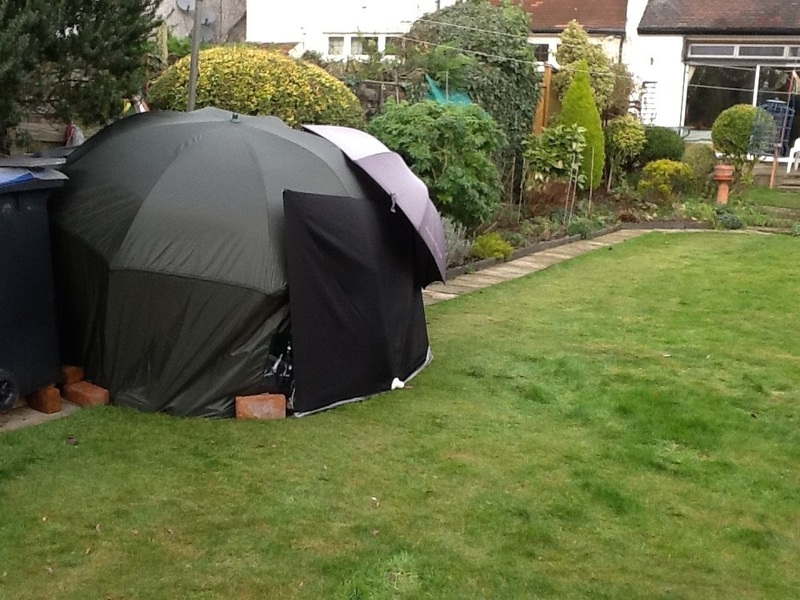 After some significant research Elisabeth purchased the Rob McAlister Ltd Fishing Umbrella Shelter from outdoor product innovators Cave Innovations. 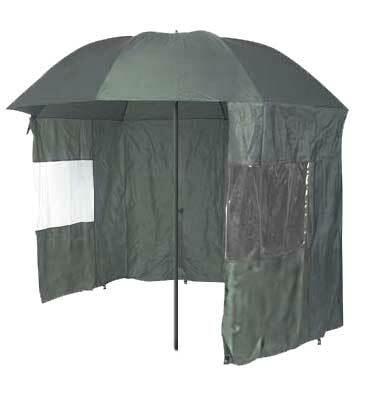 The height and angle adjustable umbrella has a clever zip detachable wind shelter. 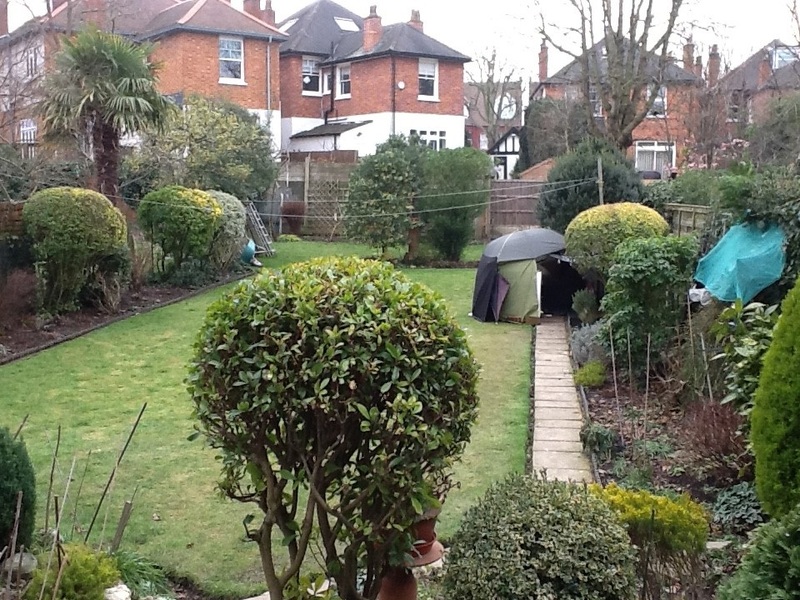 To improve the longevity and waterproofness of the canopy she coated it with Nikwax tent spray. 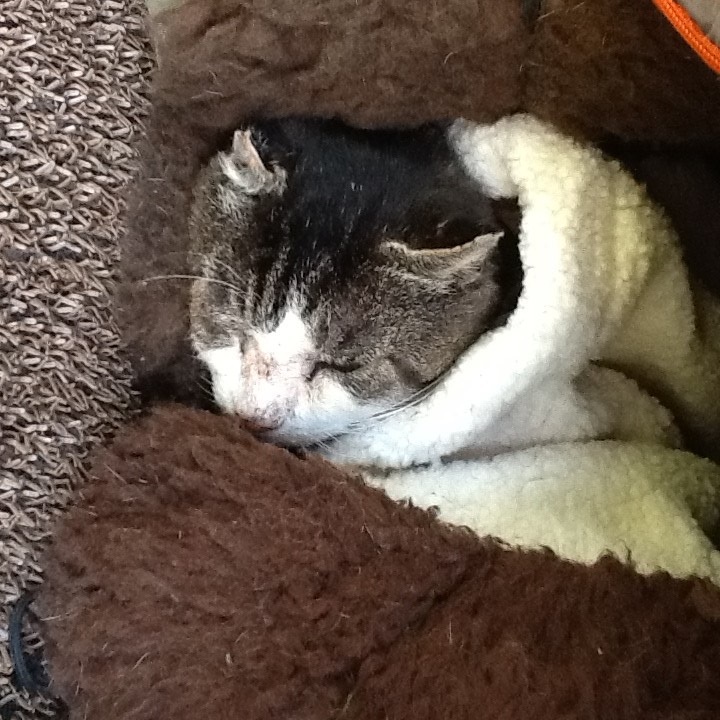 To be close to Barnaby in order to care for him she has set up a bed on the ground under the shelter. Elisabeth has been in touch several times with Deborah at Cave Innovations customer services with updates on the situation and providing pictures.